The Port of Claiborne County is a 600 acre Foreign Trade Zone greenfield riverside site located between Natchez and Vicksburg on a slack water inlet on the MISSISSIPPI RIVER. The entrance channel is 800 ft. long with a turning basin of 800 feet by 400 feet. 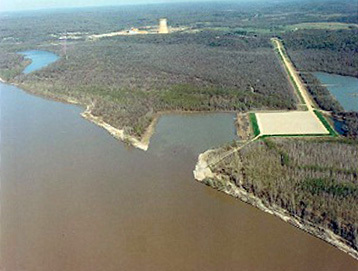 A minimum channel depth of 9 feet is maintained year round by the U. S. Army Corps of Engineers. The Port of Claiborne County offers intermodel connections via U.S. Highway 61, just 6 miles away at Port Gibson, via Interstate 20 and Class I rail service just 32 miles away at Vicksburg. The Port is equipped with a 572 foot barge wharf and is connected to a 10 acre site pad with an additonal 600 acres that is ready to be developed to suit your business. For more information, click here. Copyright © 2019, Claiborne County Economic Development District. All rights reserved.